This entry was posted in Felt, nuno felt, Portugal 2012, workshops and tagged Felt, felting workshops, nuno felt, nuno felting, Portugal, The Tin Thimble by Nicola. Bookmark the permalink. WOW!!! Nicola!!! So many good things happening!!! Will you have your own area in the retail space or is everyone’s work mixed together? Your new wrap is gorgeous – I have already “pinned” it to my “Things I Love” board. And your trips and workshops abroad sound FABULOUS! Congratulations on all of your successes! Wonderful news! Don’t you just love when felt gets taken seriously as an art form? Good for you! 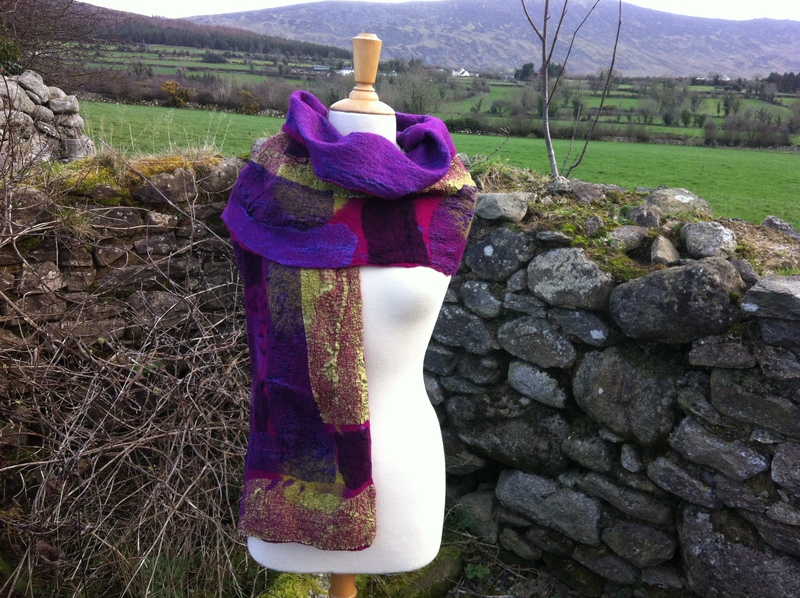 I love this newest nuno-wrap…Stunning!!! Sounds as if you are going to be busier than a beaver over the next month…Whew!!!! I know that you’re up to the task though. So much excitement for you on the horizon…Couldn’t happen to a nicer person. Congratulations on all of your hard earned success!!!! What a deliciously gorgeous wrap! Yummy! Also, congrats on your new retail venture & the residential too = You are so energetic & inspiring!!! 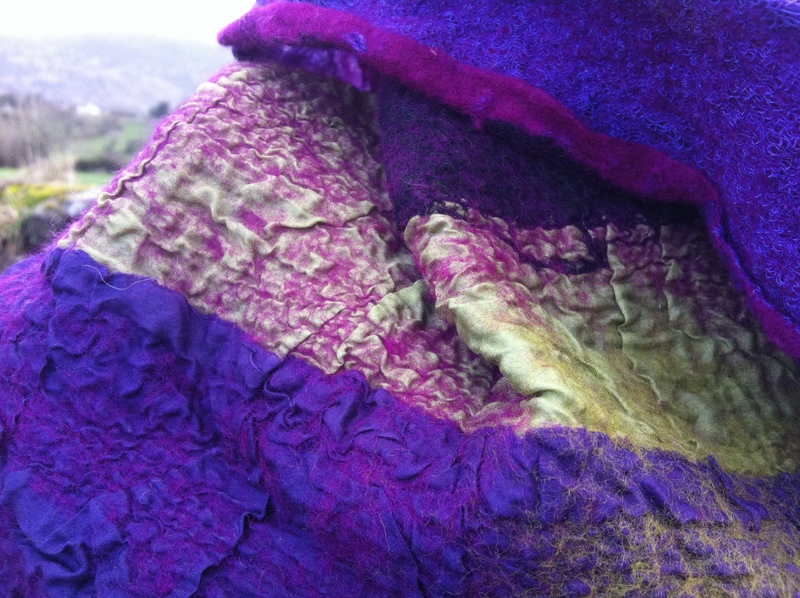 Nicola……you have to absolutely be besides yourself with all the fantastic things that are happening with your felting. It would be like, pinch me…is this real. You have worked hard and deserve it, plus your new felted items are absolutely stunning. keep the pictures and info coming, we are all happy for you.